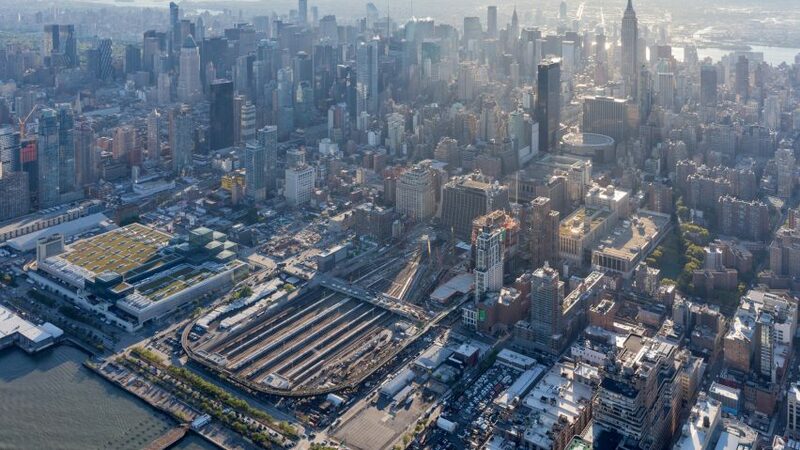 The organisation behind New York's High Line elevated park has created an online forum that offers advice for those embarking on similar infrastructure reuse projects. The High Line Network has been set up by Robert Hammond to ensure that other projects adapting disused infrastructure into public spaces are successful in creating all-inclusive public environments. Hammond, who co-founded the High Line in 1999 with Joshua David, want to help others avoid the gentrification and inequality that occurred in its surrounding Chelsea neighbourhood as a result. "A lot of the reason city governments want to do this is because it's going to increase value," Hammond told Co.Design. "But what we want the cities to understand is the other issues – not just the economic impacts but the social impacts as well... [the issues surrounding these projects] used to be about fundraising and design, and people are realising that the most critical point in these projects is social equity around their neighbourhoods." Designed by Diller Scofidio + Renfro and James Corner Field Operations, the High Line reclaimed a section of a disused elevated railway line along the Lower West Side of Manhattan. After its first section opened in 2009, it soon became a hugely popular and crowded tourist attraction. The project also spurred a series of luxury developments in Chelsea, which caused rents to rise and local businesses to struggle. It subsequently received heavy criticism. In 2012, writer Jeremiah Moss described the High Line as "a tourist-clogged catwalk and a catalyst for some of the most rapid gentrification in New York's history" in a New York Times article. Hammond described the park was "a victim of its own success", and said that he too grew concerned as locals were pushed out in favour of those who could afford to live there and tourists. "When we opened, we realised the local community [New York City Housing Authority] wasn't coming to the park, and the three main reasons were: they felt it wasn't built for them, they didn't see people like them there, and they didn't like the programming," Hammond said. To amend this, the organisation started including job training and school trips into the park's public programming, but Hammond admits that the project failed somewhat and hopes that the new network will allow others to be more successful. "While the High Line has become something of a victim of its own success, the network will hopefully ensure that the next crop of rails-to-trails projects will be successes–period," he said. The High Line Network, which formed last year but recently launched an online community, currently brings together 19 projects in North America that include a New York's Lowline underground park and the Los Angeles River Revitalisation project that Frank Gehry is also working on. Lessons are already being learnt in the planning of these schemes and their community engagement. For example, Washington DC's 11th Street Bridge Park will hold job-training workshops so those in a nearby low-employment area can gain work from the project. Replicas of these "rail-to-trail" public spaces are also cropping up elsewhere in the world. Recently, Dutch studio MVRDV converted a former overpass in Seoul into a plant-covered walkway, which follows a kilometre-long route above the traffic.